For me, Easter has always been a very festive and colorful holiday! Growing up my entire family would get together to cook, color eggs, hide eggs, and all of us little ones would get fabulous baskets filled with toys, coloring books, and candy from a local shop that opened in the 1920's called Priscilla's Candies. Priscilla's was in Lawrence, MA along a quintessential main street lined with other small shops, including a Woolworths (where I would go with Nan for an ice cream at the counter). My cousin Christine worked there during high school and college and learned to make everything by hand—she even handmade candy canes! Sadly the shop closed in 2011, but has left generations of us with some of the most vivid and sweet memories! Priscilla's also had magical window displays (thanks Christine!) 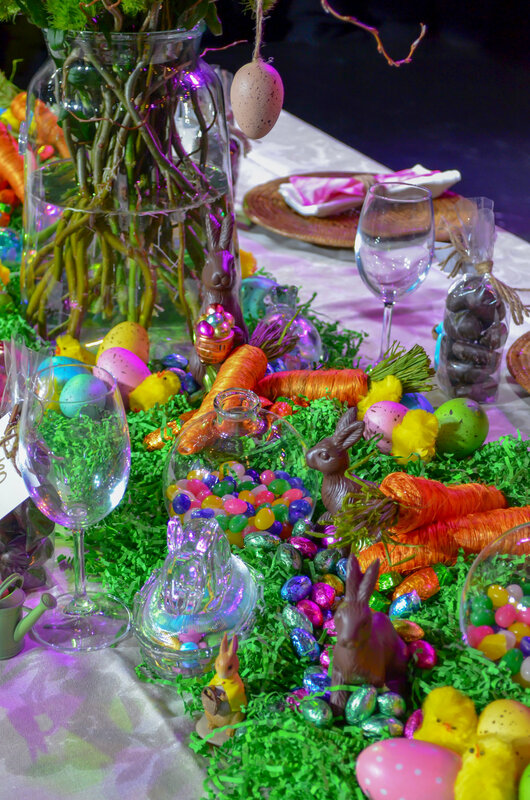 which is where my inspiration came from for this year's Easter table—a deconstructed Easter basket! 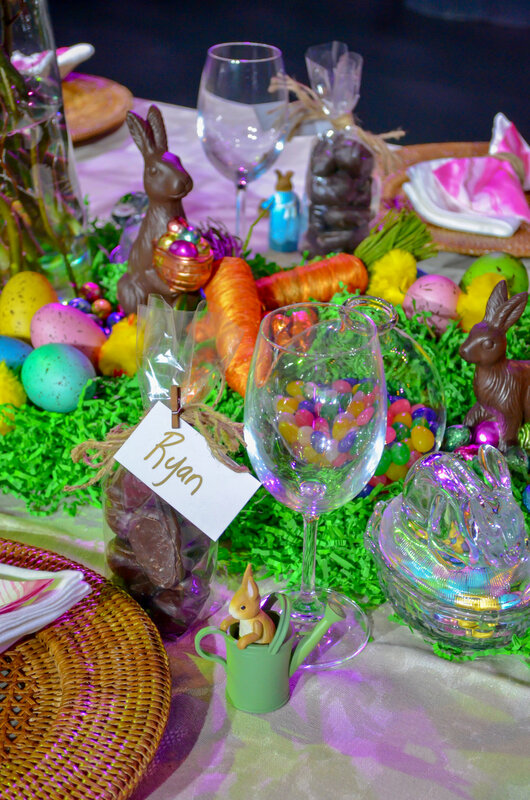 Instead of flowers, I decided to create a tablescape that was designed with all the elements found in an Easter basket: Green grass, jelly beans, foil covered chocolate eggs, little toys, even chenille chicks! 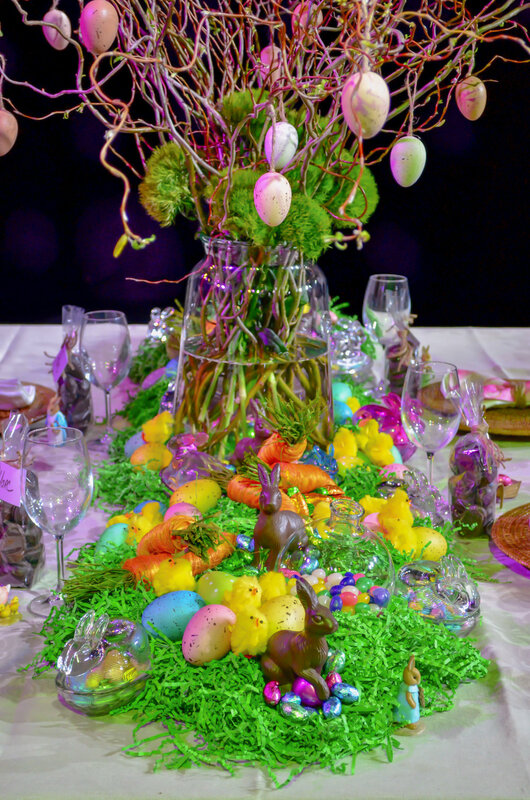 The center piece was tall curly willow branches adorned with speckled eggs. Recreating this at home is very straight-forward (I promise!) and can be sized to fit nearly any table. Best of all, almost everything I used was from a local grocery store or drug store. 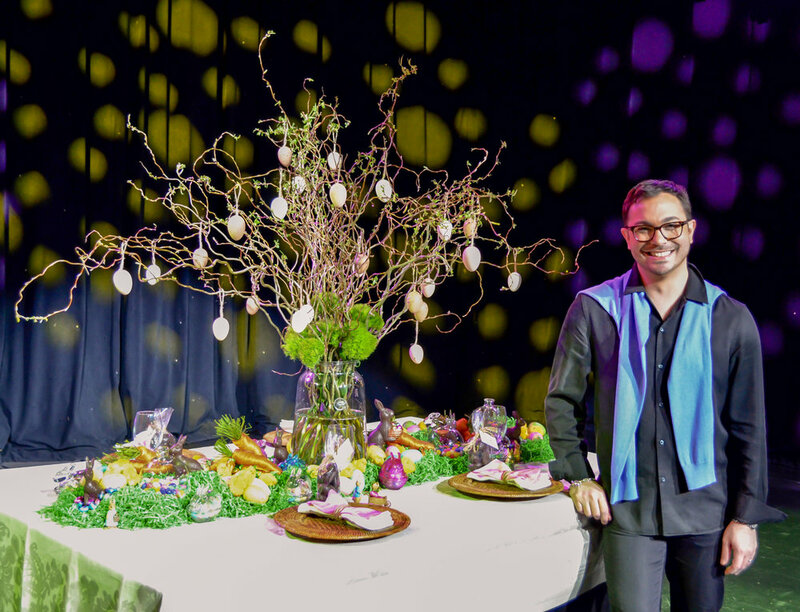 Below I have included detailed images, my WGN News segment, favorite Easter recipes, and shoppable links so you can easily recreate my Easter extravaganza for yourself at home!